Today, the Lasater property is managed by Tom's son Dale, a fourth-generation rancher. For more than half a century the Lasater property has been a wildlife sanctuary. Like the bison, our cattle coexist with coyotes, deer, prairie dogs, pronghorn antelope, rattlesnakes, and other wildlife. Believing that working with nature is the best policy, many years ago we implemented practices that helped restore the natural balance between animal species, domestic livestock, land and man. Our cattle are raised without antibiotics, pesticides, hormones, growth implants, animal by-products, or steroids. The vast majority of beef eaten in America today is grainfed, finished in feedlots. Grassfed beef is lower in fat and calories, and higher in important vitamins such as beta-carotene and vitamin E, than beef finished on grain. Research has shown that grassfed beef can lower cholesterol levels. In addition, grassfed beef has 2-6 times more of the good fat called omega-3 fatty acids. To learn more about the health benefits of our grassfed beef, please sign up for our special report below. Get to know the Lasater Difference. We have been ranching for more than a century, looking at our surroundings holistically instead of in parts. One of the most valuable lessons we’ve learned is that everything in Nature has a purpose... the ant, prairie dog, the coyote, the porcupine... This lesson governs every aspect of our business. Enjoy this video that explains why we are different than most ranches. Lasater Grasslands Beef is great tasting because our cattle are finished on grass; they spend their entire lives grazing in open pastures and are never confined in feedlots or fed grain. They are not given growth hormones or low-level antibiotics and are not treated with pesticides. We have been ranching for more than a century, looking at our surroundings holistically instead of in parts. One of the most valuable lessons we’ve learned is that everything in Nature has a purpose... the ant, prairie dog, the coyote, the porcupine... This lesson governs every aspect of our business. We refuse to compromise when it comes to Nature–in a very real sense, she is our most valued business partner and the source of our business philosophy. Where is Lasater Grasslands Beef? We run cattle on the short grass prairie of Eastern Colorado near Matheson and on Park Springs Ranch in the canyon country near Las Vegas, N.M.
How are your cattle processed? Our cattle are processed at two, small family-owned facilities. This cannot be more different than the mammoth industrialized plants where most of the U.S. beef supply is processed. Our beef is butchered by hand by long term, conscientious employees. While our meat is processed in plants that handle other natural beef, ours is done on specific days, in a batch, so that there is no chance of co-mingling our beef with other beef. Each animal is tagged with an individual number that identifies them all the way through the process. No, our cattle are grass fed and grass finished. Is your grass fed beef organic? Our beef is not certified organic. However, our cattle eat nothing but grasses and forbs, supplemented by hay and alfalfa pellets in the winter. Since almost all organic beef (and chicken and pork) are grain-fed in confinement, we maintain that eating our beef, raised humanely in open pastures, is a healthier choice, more natural, and better for the environment. As grass fed expert Jo Robinson states in her essay Beyond Organic: "That expensive, USDA-certified organic steak at your grocery store is likely to come from a cow that spent most of its time in a feedlot eating far too much grain". Is your product free range? Yes, our cattle are never confined to a feedlot; they spend all of their happy lives on the open range. Do you use hormones, pesticides, antibiotics, or herbicides? No, we do not use any antibiotics, hormones, growth implants, animal by-products, or steroids on our cattle. We also do not treat our pastures with any pesticides or herbicides as we believe that in order to have a complete balance out on the prairie all the naturally growing vegetation needs to be a part of it. Our beef has a distinct “pure” taste. It is different than grain fed; we think it tastes better without all the chemicals. Is grass fed beef tougher than grain fed beef? No, but our beef is much leaner and needs to be cooked at a lower temperature and the internal temperature of the meat should be lower than grain fed beef. See our temperature guide for more information. Is your beef lower in calories and saturated fat than grain fed beef? Yes, Lasater Grasslands Beef is lower in calories and saturated fat than grain fed beef; it is a great source of lean protein. Our products are stored frozen and then shipped to our customers frozen within a Styrofoam cooler with dry ice to prevent complete thawing. During the summer months some thawing will occur. However, if placed directly in the freezer our products will maintain their excellence. ..."The Lasater Ranch occupies about 30,000 acres of shortgrass prairie near the town of Matheson, Colorado. It is a profitable, working ranch that for half a century has not used pesticides, herbicides, poisons, or commercial fertilizers on the land, has not killed local predators such as coyotes, has not administered growth hormones, anabolic steroids, or antibiotics to the cattle. The Lasaters are by no means typical, but have worked hard to change how American beef is produced. Their philosophy of cattle ranching is based upon a simple tenet: "Nature is smart as hell." ..."Before taking over the family ranch, Dale Lasater spent a year in Argentina as a Fulbright scholar, ran a feedlot company in Kansas, and managed cattle ranches in Texas, Florida, and New Mexico. He has come to believe that our industrialized system of cattle production cannot be sustained. Rising grain prices may someday hit ranchers and feelots hard. More importantly, Lasater finds it hard to justify feeding millions of tons of precious grain to American cattle while elsewhere in the world people starve." ..."Dale Lasater recently set up a company to sell organic, free-range, grass-fed beef. None of the cattle used in Lasater Grasslands Beef spent any time in a feedlot. 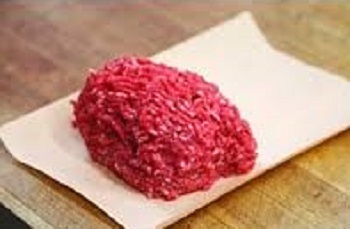 The meat is much lower in fat than grain-fed beef, and has a much stronger, more distinctive flavor. Lasater says that most Americans have forgotten what real beef tastes like. " ..."Grass-fed beef tastes better than corn-fed beef: meatier, purer, far less fatty, the way we imagine beef tasted before feedlots and farm subsides changed ranchers and cattle." ..."His father, Tom, himself a third generation rancher, moved from Texas to Colorado in search of affordable land, and in the 1950's took the heretical step of making his ranch a wildlife sanctuary, refusing to kill predators and pests or, later, to use fertilizers and herbicides. This, he hoped, would allow him to restore nutritive grasses and water reserves to the parched, depleted land he had bought, and to protect the ranch from developers in Denver and Colorado Springs. The Lasaters were influenced by the ideas of Allan Savory, a guru of grasslands management, who advocated a careful rotation of pastures to allow the natural regrowth of grasses." Read the full article: "Back to Grass" article in The Atlantic Monthly. ..."In addition to selling live cattle, Lasater now successfully markets cuts of organic beef by website mail order, as well as directly to retail stores. Before I left the ranch that day, I got a taste of Lasater's grass—transmogrified into a free-range filet, stove-topped to perfection by the cowman himself. His promotional literature has it right: "Lasater Grasslands Beef... Dry aged 14 to 21 days for that old-fashioned flavor." Read the full article: "The Great Plains" article in National Geographic. "In NATURE's HOLY COW, viewers visit one of the leaders of the "alternative" ranching movement, Colorado's Lasater Ranch. There, the Lasater family is demonstrating that they can raise high quality, organic beef using methods that many experts say are friendlier to the environment -- and healthier for beef eaters." You can watch a clip of "Holy Cow" here: Watch the Lasater Ranch on PBS. Dale Lasater was recently interviewed by KRCC public radio in Colorado Springs. In this interview you can hear the rich history of the Lasater Ranch, the health benefits of grassfed beef, and the importance of land stewardship that we practice on the Ranch. Click here to listen: KRCC Interview. "Dale Lasater takes the old-school approach to ranching: He places good cattle on the Colorado prairie-and then leaves the rest to nature."